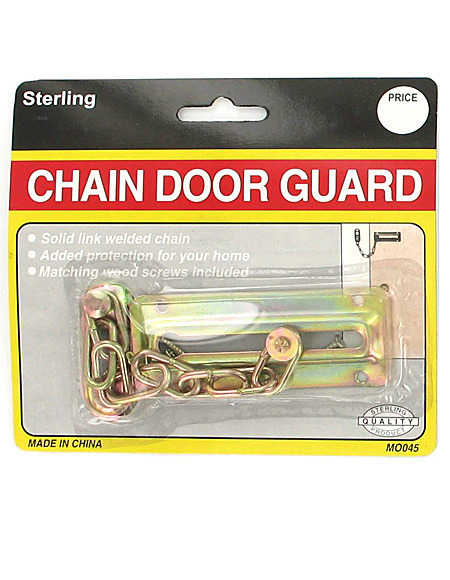 Provide added protection for your home with this high quality Chain Door Guard featuring a solid link welded chain for tamper-proof security. Includes seven slotted wood screws for mounting. 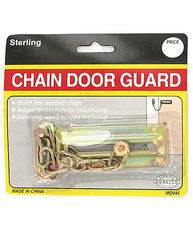 Door guard measures approximately 3 1/2" x 1 1/4"; chain measures 6" long; screws measure 3/8" long. Comes packaged in a blister pack.